The small village of Beaver, Utah, was founded in 1856. Sixteen years later, the area had grown large enough for the LDS Church to establish the Beaver Stake in 1869. A brief outbreak of Ute Indian violence in 1872 prompted the establishment of a military post. In 1872 and 1873, the U.S. Army built a large protective fort near Beaver, Utah, partly to protect white settlers from Indian raids, and partly to aid the 2nd District Court in the prosecution of those accused of participating in the Mountain Meadows Massacre. John D. Lee's two trials were held in Beaver, and he was briefly imprisoned at the fort. On September 7, 1873, 250 troops arrived under the command of Major John B. Wilkins. Their new home was a two and two-thirds mile square military reservation, and its facilities were built of native rock and lumber. Fort Cameron, as it came to be known, outlived its usefulness after one decade, and was abandoned in May of 1883. 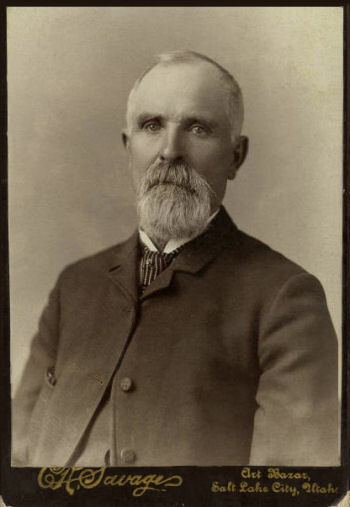 John R. Murdock, president of the Beaver LDS Church Stake, purchased part of the property from the U.S. Army in hopes of locating an academy on the site. According to one account, P. T. Farnsworth, bishop of the Beaver Ward, Kent Farnsworth, and several other local citizens, assisted him. The $15,000 purchase price was a bargain, since it was only about one-eighth the value of the land and structures. For their money, the buyers obtained ten acres, eleven substantial stone buildings, a stable, and outbuildings. These owners held onto the property for fifteen years. They allowed it to be used for summer schools and pleasure excursions while they lobbied Mormon officials in Salt Lake City for the establishment of a Church academy. Such a school was sorely needed -- there were no secondary schools in the state south of Provo -- so that southern Utah families ambitious for their teenagers to obtain a real education would not have to send their students so far away from home. In 1886, an LDS stake academy was opened in rooms rented above the co-op store in Beaver. The school later met in the basement of the stake tabernacle and, by 1890, in a two-story pink sandstone school building. After it was no longer needed, the Church turned over that building to the public school district for use as an elementary school. In 1897, the Utah House of Representatives considered a proposal for the state to buy and establish a comprehensive normal school on the Murdock property. Proponents argued that the state owned many buildings in northern Utah, but few in the south. But statehood had just been obtained, and Utah's coffers were still just too small to support this $30,000 effort. The measure was defeated. Thus it was up to Beaver citizens to try to make a local academy a reality. Among others, Sarah Maeser [Sarah Caroline Shepherd Maeser], member of the local Woman Suffrage Association and wife of one of the town's leading educators, Reinhard Maeser [Karl Frederick Reinhard Maeser], took up the cause. Her interest no doubt had something to do with the fact that she was the daughter-in-law of Karl G. Maeser, one of the legendary founders of Provo's Brigham Young Academy. Men as well as women affiliated with the local suffrage group, and together they joined John R. Murdock as academy supporters. Citizen efforts were effective. In 1898, the LDS Church acquired 240 additional acres from the U.S. government and converted the Fort Cameron site into the Beaver Branch of the Brigham Young Academy. A procession marked the opening of the school in September 1898, and two LDS general authorities, apostles Francis M. Lyman and George Teasdale, dedicated the campus. The dedication was followed by a public concert and ball. Twenty-eight students registered for the opening session under Ernest D. Partridge, principal. Partridge was selected and sent by Brigham Young Academy in Provo. By the third year, enrollment had climbed to 215. While students were enrolled under the official name, BYA Beaver Branch, the school was known locally as the Murdock Academy, after its chief patron. 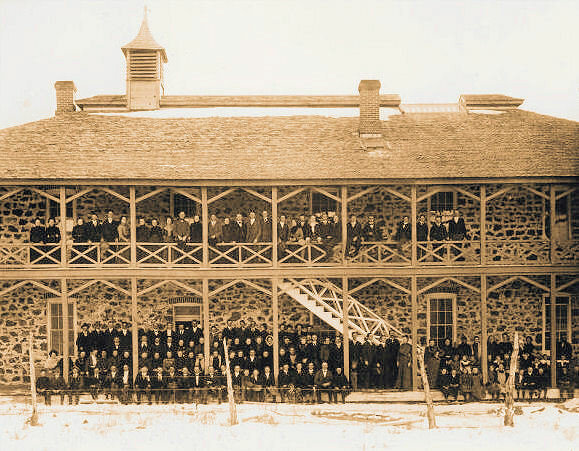 For ten years the Beaver Stake operated the school, offering high school preparatory classes, in addition to ninth and tenth grade courses. When Brigham Young Academy in Provo was dissolved in 1903, it was replaced by Brigham Young University and Brigham Young High School. Only the Beaver Branch retained its official appellation as "Brigham Young Academy." 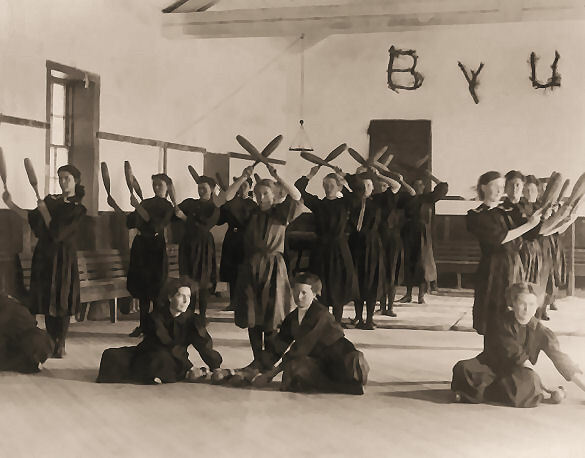 In 1908, the LDS Church headquarters assumed total control over the Brigham Young Academy Beaver Branch, and introduced a full high school curriculum. The name was officially changed to Murdock Academy, a Branch of Brigham Young Academy. Some of its graduates stated in their biographies that they had graduated from Brigham Young Academy, but most cited Murdock Academy as their alma mater. LDS leaders considered the education of their youth so important that they added a $100,000 classroom building to the Beaver campus in 1908. However, the school struggled constantly with low funding, deficient facilities, and competition from other more attractive schools in the state. Finally catching on to the general need for public education beyond grade school, the Utah legislature in 1922 passed a law requiring all Utah counties to maintain tuition-free high schools. Much of the land of Murdock Academy was sold, and school equipment was donated to the new Beaver High School. 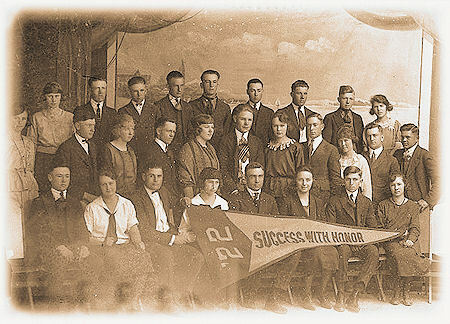 After 25 years of history, the Beaver Academy was finally closed after fifteen high school academic years, concluding with the final graduating class in May of 1922. Footnote 1: From 1937 to 1938 Fort Cameron once again buzzed with activity, housing young men from all over the country, this time assigned to the Milford Civilian Conservation Corps. The CCC dismantled the remaining buildings. The stone was used for a new Milford chapel and the Minersville town hall. Today little remains of Old Fort Cameron and the Brigham Young Academy Beaver Branch. Footnote 2: The BYA ~ BYH Directory will attempt to include names of individuals who received high school diplomas from Brigham Young Academy Beaver Branch ~ Murdock Academy between 1908 and 1923. Some of these graduates stated in their biographies that they "graduated from high school at Brigham Young Academy", and so we adopt them into this Directory. Click here for Beaver Branch records to date. Sources: Thomas G. Alexander and Leonard J. Arrington, "Utah's Military Frontier," Utah Historical Quarterly 32 (1964); Metta Hutchings White, "Fort Cameron," in Heart Throbs of the West (Salt Lake City: Daughters of the Utah Pioneers, 1941), vol. 3; Lisa B. Bohman, "A Fresh Perspective: The Woman Suffrage Association, Beaver and Farmington, Utah," Utah Historical Quarterly 59 (1991); and Becky Bartholomew, History Blazer, May 1996.